I was nominated to do the blog tour award by the lovely and extremely talented, Lou. Check out her blog because she is genuinely one of the best bloggers I know and her writing is just so amazing. - Pass the tour onto at least four other bloggers. - Answer the four questions about your creative process, which allows other bloggers and visitors to understand what inspires you to do what you do. I didn't know if I was allowed to use the picture Lou had so I made my own.....Very sorry if I shouldn't have. I don't really think that my work differs from others in my genre. To be honest I write about so many things that I'm not really sure what genre I fall into anymore. I like to think that I am a little bit more carefree with my posts. I will post whatever I want regardless of my audience, which is either a good or really and thing. Basically I'm not afraid to take risks with posts. They either work or they don't. I like to think that I take a few more risks where my posts are concerned. My writing process can vary a lot. Normally I will have a massive surge of ideas which I write down and plan out when I'm going to write each post. I keep track of it all in my blog planner which you can see here (Some lovely shameless self promo there, I love it). I also do a rough plan of what each post will include. If I'm not working I will sit in front of my computer for hours just writing out all my posts and I'll then schedule them all. 3. Why do you write and create what you do? For me its all about individuality. In my house nothings private. I don't have thousands of secrets but its like nothings my own. My blog is the one thing my family have no say in and they don't even know I have it. Its nice to be able to write whatever I want without my sister or parents judging it. I also love writing and sharing my options or creations with strangers. People who don't know me can't sugar coat things. Ill get honest opinions and its a great way for me to talk to people who have the same interests as me. 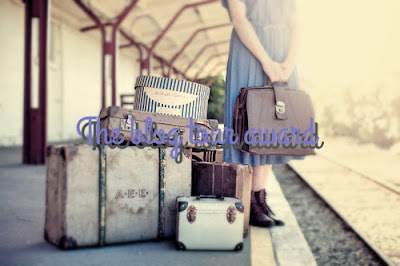 I tag all the beau bloggers. I know a lot of you have already done this tag so I'll tag you all so if you want to you can. If not there's no pressure. If anyone who wants to do this could do it by the 31st Augusts that would be great, if not don't worry. Do it whenever you run out of ideas for a post. Much like I did.